“We want to give people more reasons to come to the Greenway,” said executive director Jesse Brackenbury. 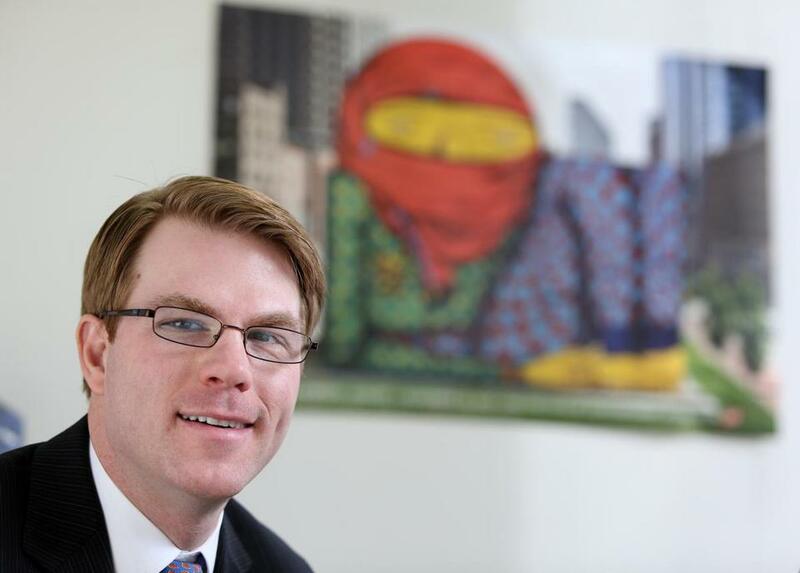 The next leader of Boston’s Rose Fitzgerald Kennedy Greenway said he wants to significantly increase the presence of public art and other new features in the downtown park network to attract more visitors and boost annual income. Jesse Brackenbury was approved as executive director of the nonprofit that runs the Greenway during a board meeting Tuesday night. Brackenbury, who has served as interim director for the past year, said he wants to bring new art exhibitions and other upgrades over the next several years. He succeeds Nancy Brennan, the Greenway conservancy’s first executive director who served for seven years but faced controversy over an annual salary of $185,000 late in her tenure. Brackenbury’s compensation is still under negotiation. 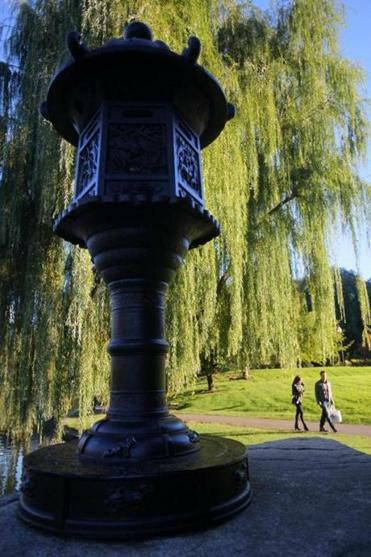 His appointment comes at critical time for the Greenway, which is trying to increase revenue to help pay for maintenance, upgrades, and new attractions in the 15-acre park system. 10/6/13: How good is Boston’s public art? Public art in Boston often brilliantly conjures history but underwhelms as art. Sebastian Smee issues a call to imagine a bolder turn. The conservancy is negotiating a new lease with the Massachusetts Department of Transportation, which owns the land on which the Greenway sits and provides about 40 percent of its annual funding. In recent years, the conservancy has explored the creation of a so-called business improvement district that would levy fees on abutting commercial property owners to help fund improvements to the parks. But that idea has met resistance from downtown property owners, and Brackenbury said he is now assessing other options to increase private financial support. He also said he will continue to pursue income-generating amenities such as the carousel that opened last year and the addition of new food trucks. The Greenway’s food truck program is expected to generate as much as $350,000 this year, up $100,000 over last year’s revenue. “We’ve tried to make sure that things we’re adding are income-generating as well as public amenities,” said Brackenbury. He also said the conservancy is continuing to explore a range of other ideas, such as the creation of a winter market, development of an annual skating rink, as well as adding to its roster of 300 annual programs and events. Brackenbury grew up in New York City and spent several years working for its parks and recreation department, where he managed a $1 billion capital budget. Since 2009, he has worked for the Greenway conservancy as chief operating officer and interim director. He spearheaded efforts to open the carousel and helped to create a five-year strategy for adding new public art displays. The chairwoman of the conservancy’s board, Georgia Murray, said Brackenbury has proved himself a capable leader of the park system. “He has embraced the public-private partnership and promoted the Greenway as an economic driver for Massachusetts,” she said. During the next several years, Brackenbury will also manage the impacts of surrounding developments along the Greenway. Several developers are planning major projects in the area, including a towering complex that would replace the Government Center Garage and a major redevelopment of the Harbor Garage on Atlantic Avenue. Both developments could add new retail stores and restaurants along the Greenway. But they may also add traffic and shadows that could detract from its ambiance.